AND I'LL DO IT IN HEAVEN, TOO!!! MAKES ME SMILE AND REJOICE AND WINK. 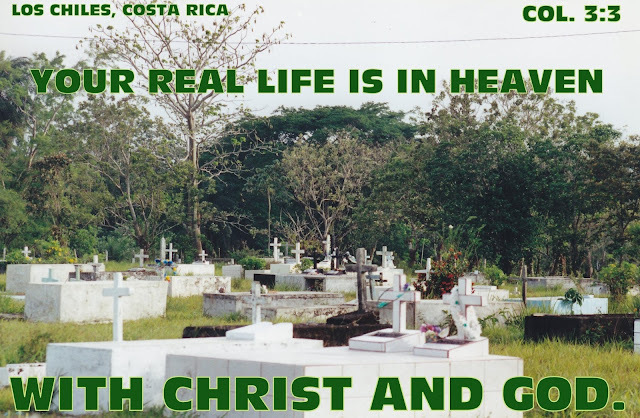 REAL LIFE IN HEAVEN! COUNT ON IT! WHEN I SAW THIS, IT GRABBED MY HEART THEN. 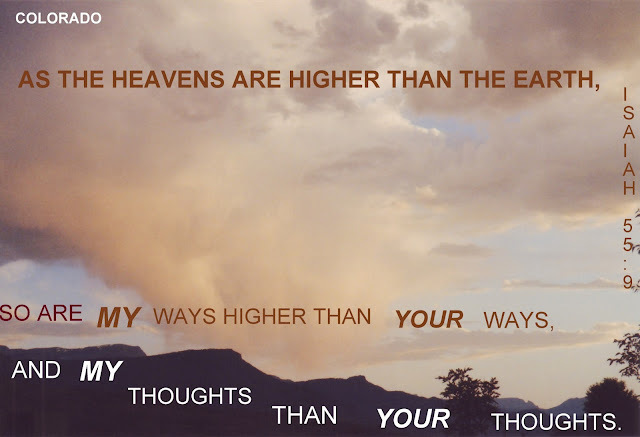 MANY OF US LOOK FORWARD TO HEAVEN. AND MANY OTHERS HERE ON EARTH. OUR LORD IS MY REFUGE!! 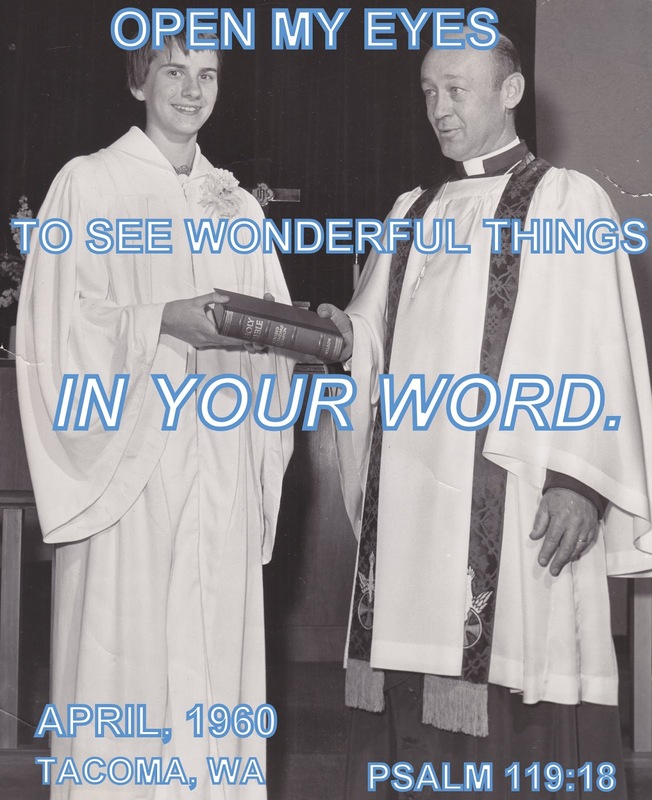 I was about 12 to 14 years old in Tacoma, WA, at a Lutheran Church in a Confirmation class time. Since I got into the church later than most of the others I had known at grade school and the junior high school, they were pretty shocked, b/c they knew I had never been there. I hadn't been in any church ever at a regular time. And many of them had known me as a fighter and a bad foul language girl. But, suddenly I was put there. Amazingly, insisted by my parents who didn't go there or anywhere at all. I truly believe the Lord must have dropped this into them to put it into me. I wasn't happy then, but, as much as I would never have understood quickly, it truly became a blessing. Suddenly, I had lots of the verses of the Bible to read and other portions of learning and Lutheran pieces. As I recall, when there when 12 years old, I got a list to read Genesis, Psalms, John, and Revelation. It was a strong difference than I had ever known. It was a whole new world for me. I was thoroughly blessed by the pastor and his secretary. She was in her early 20s and she really wanted to bless me. Both of them were a wonderful treat. Now the info is re: how our world changed since then. I was in that situation in the 1958 to 1960. When I was reading Revelation, and talking to Mom, she was very upset. She was about 37 to 39 years old during my time there. Much of it frightened her. However, the main portion of Revelation that upset her strongest was listed in Chapter 11. In the Book, accordingly, God had sent the 2 guys back down from heaven, and they were fighting with the other god/demonic situations. Some of the info is that they were possibly Moses and Elijah OR Elijah and Enoch. [I've heard a variety of info re: them, BTW.] They were protected people and the situations in Jerusalem and fighting very straight-forwardly for about 3-1/2 years. Then, surprisingly and suddenly, they were murdered, even though they had not been murdered before then, even though people had been trying to kill them. Then, for 3-1/2 days their bodies were just on the open street. People were refusing for them to be buried, even though the body stinkiness was extreme. When they were dead, the people were rejoicing about it and somehow the races, tribes, languages, and nations were able to see their bodies on the street. Then, suddenly, these Holy Spirit Servers were raised up again and ascended into heaven in a cloud. The consequence was that the destruction in that city hit strongly and people died. But, according to other info pieces, there were people not just there, but around the world seeing this. They were rejoicing when they were dead and happy to see the bodies, and then exploding because God had raised them up. Back then, which is logical, my Mom with those verses, told me that that was very scary and so much was filled with lying in the Bible. She indicated that the world could never check up on people as easily as that. I never forgot her response and knew she was thinking very carefully and, in those years, I thought she was right. Now, a number of years later, our world has truly changed in regard to seeing everything, especially in significant situations. When I'm reading Revelation now, which is a consistent portion of the Bible for me, and I read that Book many, many times a year. It occurs of the death and the healing to heaven, and people in our world will see it momentarily and most of them, since sinfulness has covered our world more strongly at that time, will explode in their fearfulness. So, Mom's in heaven and she'd sure get to know much more there than down here. That's a treat! She officially came to the Lord when she was 80, even though she had known the Bible since she was a kid. I can hardly wait to see her and my Dad and many others. And I'm looking forward to Revelation filling our world more significantly now than dozens or hundreds or millions of years in the past to describe. Trusting my Heavenly Father is all I can do, moment-by-moment. He is "IT", forever. 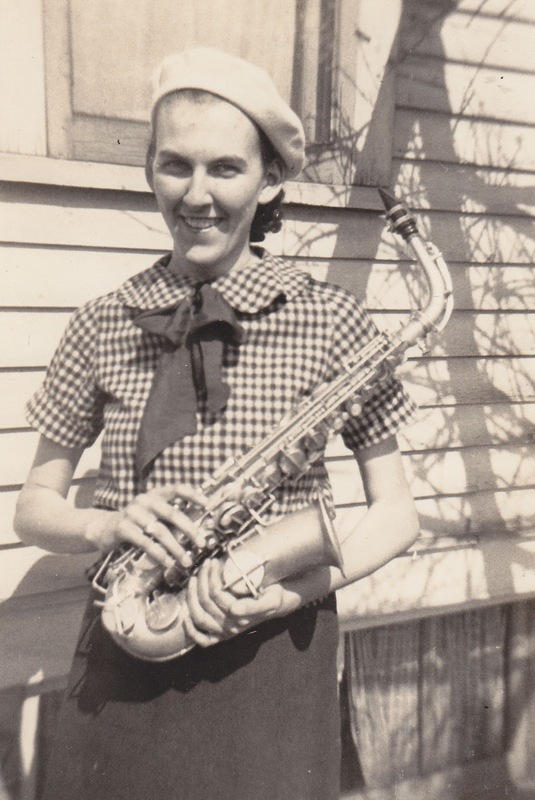 Mom was a wonderful sax player in school and she was in a portion of Wisconsin during those years. She had me do it when I was 9 years old. And it laid on me strongly. Mom's 90th birthday in Tacoma, July 28, 2010. 6 months later, the end of January, 2011, she went to heaven. As I've said, I can hardly wait to get there and see her and my Dad and others. A heart-filling situation now. FILLED WITH PRAISE FOR HIM! 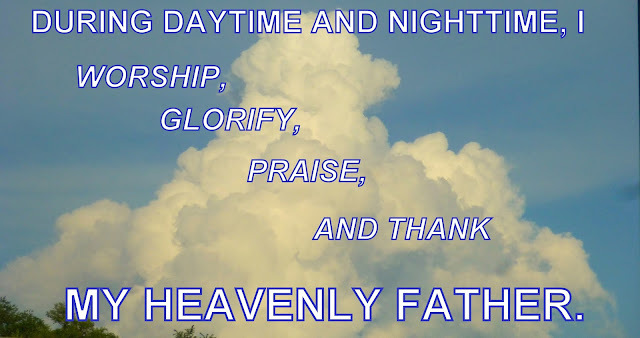 AND THANK STRONGLY MY HEAVENLY FATHER. 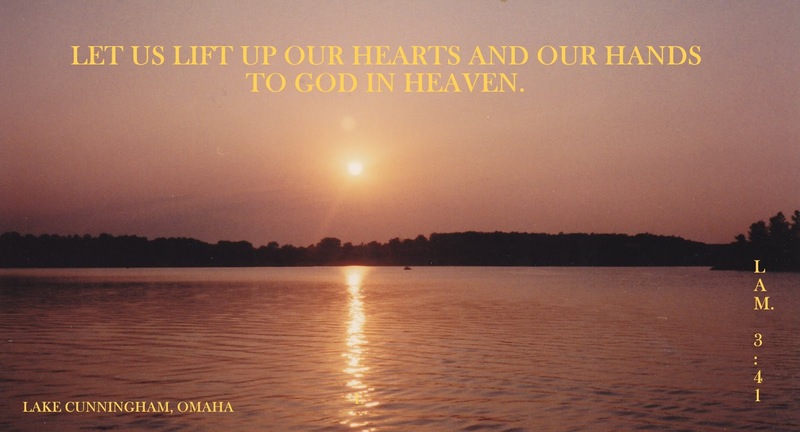 AND CAN HARDLY WAIT TO BE IN HEAVEN TO SEE HIM. 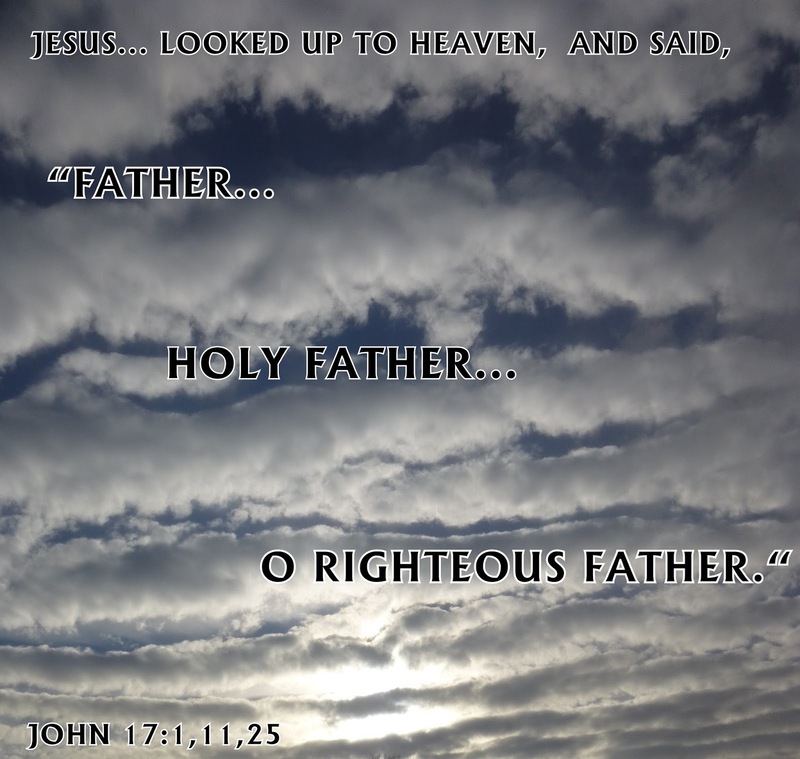 JESUS LOOKED TO HEAVEN. WE DO, TOO. HE USED THOSE "FATHER" WORDS. FOCUS ON AND COUNT ON. THE SINFULNESS HAS EXPLODED AROUND THE WORLD. BUT IT'S MUCH LARGER IN OUR SPIRITUAL BODIES. THAT'S WHAT I PLAN ON FOREVER AND EVER! 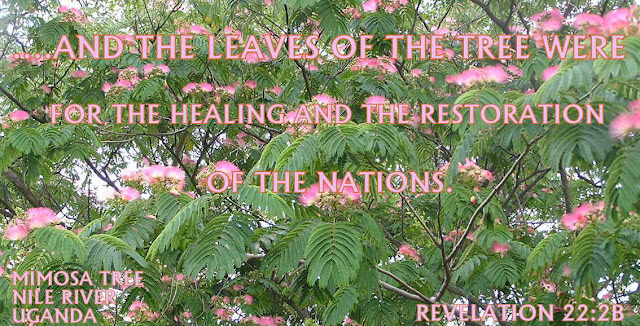 OUR LORD SHARING ABOUT THE TREE LEAVES. I'VE BEEN A REVELATION READING WORSHIPER. AND SO MUCH OF WHAT IS IN THE FUTURE. TRUSTING MY HEAVENLY FATHER IS ALL I CAN EVER DO. FILLS MY HEART WITH THOROUGHLY WORSHIP. IN OUR WORLD AND OUR LIVES. THE MAJORITY OF THE SINS. 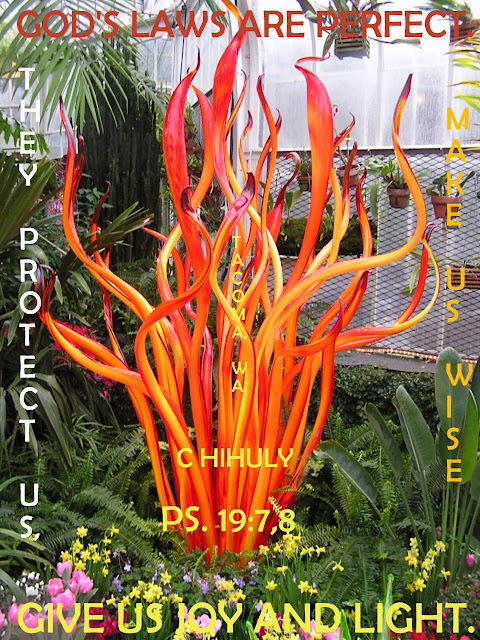 PROTECTS US AND GIVES US JOY AND LIGHT. AGAIN, HE'S ALL I CAN EVER COUNT ON. 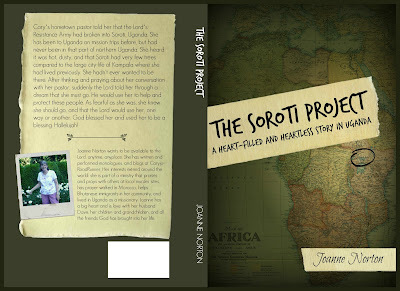 With "The Soroti Project" book this is one of the portions of the story that has broken my heart then and broke it now, even though it's been 11 years since I was there. 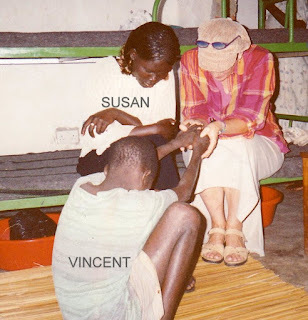 The 10-year old boy who had been abducted by the Lord's Resistance Army and his legs and feet had been bloody and had been dropped off to the side from the large group, expecting he'd die, but they weren't going to kill him. Well, he was caught and protected, and in with the safety kids group, and he had just arrived and a teen kid had gone out just that day trying to find his parents and let them know he was alive. He cried when I was with him and holding his hands and praying. And he put his hands over mine and cried. I wanted to put him on my lap, since he was so young, and I would have held and cried over him. However, in their nation, that wouldn't be OK. I cried as soon as he had been prayed over and was going out to the others. He truly was a heart broken kid to me. NOW, he's in his early 20s, and I sure hope he's doing well and, as a kid who truly had been with the Lord even at his age, it would be a blessing to know he with and serving the Lord. And, probably, married and has kids of his own. Sure want to know somehow. Anyhow, this grabbed me and I'm sharing it. AND VINCENT WAS 12. SUSAN WAS A MAIN LEADER. MY GLASS WAS ON MY HAIR COVERING HAT, BUT MY FACE WAS WAY DOWN TO THE LORD. ALL THE SAME DAY WAS DONE. WOULD LOVE TO SEE AND MEET VINCENT, TOO. IF NOTHING ELSE, THERE WILL TIME IN HEAVEN! THAT'S WHAT I COUNT ON! FOREVER AND EVER. 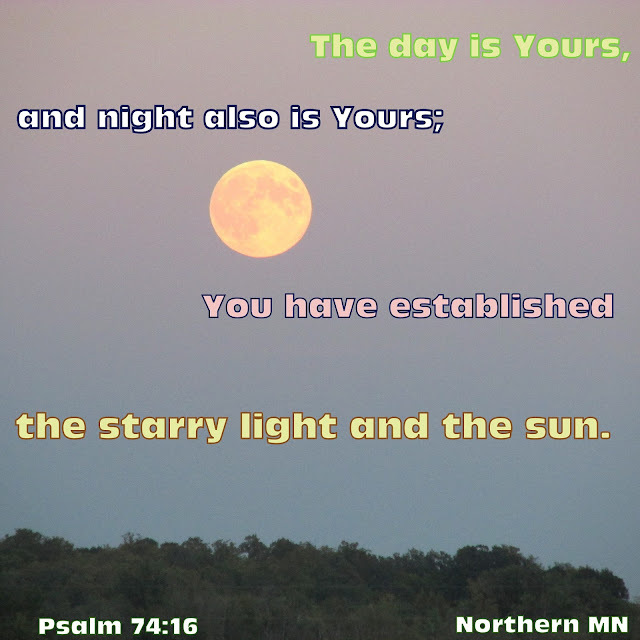 DAY AND NIGHT IS HIS! TRUSTING THE CONSEQUENCES OF MY LORD. TRULY EVERY DAY INSTANTLY HE'S ON MY HEART! WHEN I HAPPENED TO SEE IT WHEN GLANCING THROUGH PHOTOS I TOOK WHEN I WAS IN COLORADO IN 2003. 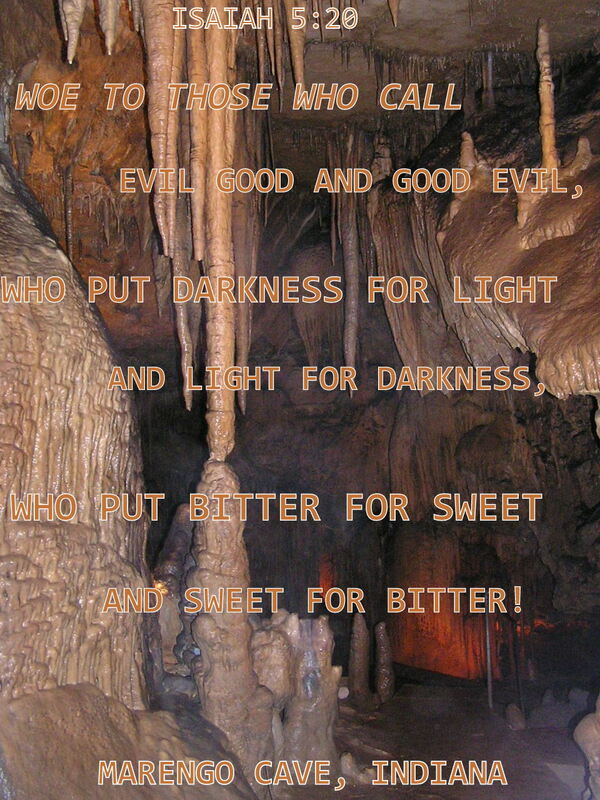 Isaiah 5 has been on my heart and spirit for years and years. the truthfulism increased then and has increased now. hugely filled with sinfulness and worshiping many gods. His kindness and truthfulness to people. HE IS All WE CAN COUNT ON FOREVER! MY AGE, MY JOY, MY LORD! Even though I've shared this photo and the Word another year or so ago, I was filled with it again today. I am 70 years old now, since yesterday, July 9th, and when seeing this again today, I was smiling and filled with rejoicing. Trusting the Lord, counting on Him, all the way from heaven and earth, and His foreverness, that's what I count on, and think of every day. He is a HUGE blessing of my life... and the lives of billions. AND MY HEART, TOO, WHICH IS MY HUGE BLESSING!. This ain't perfect, but since I'm turning 70 right now, and my body and brain ain't working as well, I just thought I'd toss some pieces around and about. Sorry if this is too crazy! Love many, many, many of you. On July 9th I am 70 years old. 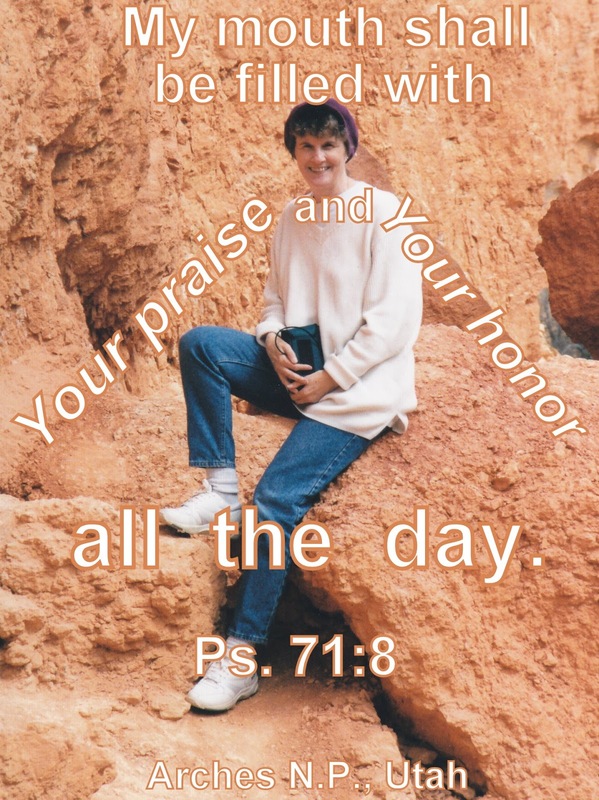 Want to share the wonderfulness of how the Lord kept me alive in many ways. When people say that, in our present-day healthiness, I should plan to be on the earth until I'm 80 or 90 at least. Well, I would have died through beatings, murders, suicide, or ruined heart issues. The Lord has healed and protected me many times. I was born in Portland, Oregon. I discovered when I was 17 that my parents were not married when I was born. Mom, very angry at Dad, when I was about a month from graduation in Klickitat, WA, in 1963, she told me that they had married when I was 3 years old. 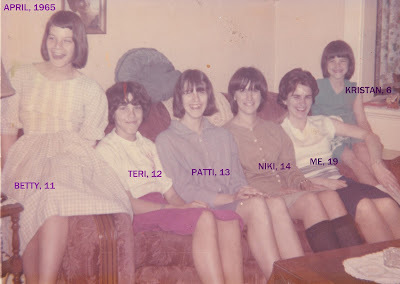 After her death, a few years ago, one of my sisters and one of my nieces had gone through more of Mom's pieces and discovered it wasn't when I was 3 that they married. I was about 1-1/2 years old. Too much of their situation to tell to any of you. Even though it is quite normal and acceptable in our present-day world, it sure wasn't when I was a kid! 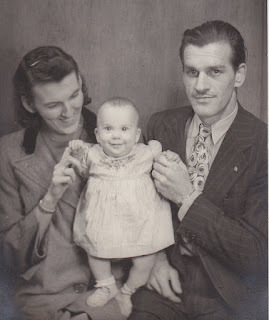 I'm extremely relieved that Dad and Mom came to the Lord... my Dad when he was 59 and died when he was 65 in 1984, and my Mom when she was 80 and died at 90-1/2 in 2011. I look forward to seeing them in heaven!! right then. 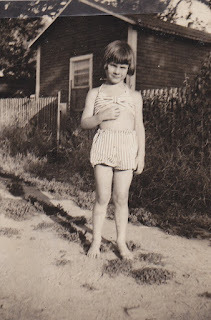 When near July 4th, shortly before my 5th birthday, I'd been hurt by a 7 year old boy. As I say, Dad taught me how to fight, and, when the boy walked by me I hit him, and he ran away from fear. So, I became a strong fighter and did it anytime necessary for me or my family. When I was in school, from grade school to high school, even though I heard the Words of the Lord when principles and teachers could talk about the Bible, I truly knew it was right, but I continued to keep my sinful life strongly. AND I felt guilty, because I knew what I was doing was against the truthfulness of the Lord. I was working in Seattle when I was 18 and 19, and filled with extreme sinfulness, and was heading to suicide. Amazingly I was moved to Tacoma when I was just turning 20, and was with my Dad, Mom, and sisters. A few months later, in an apartment, I was drawn to a Baptist church through a new friend, and I went and knew the truthful portions, and, 3 weeks later, I decided to truly accept the Lord on April 15, 1966. Life began to change for me. The Lord has used me to do some very unusual things for approximately 46 years. In the process, when dealing with very serious and dangerous situations through family connections or towns, He has healed my heart. My heart was healed when I was 27 & 28, 38 & 39, 42. I'm extremely grateful! At those times it had nothing to do with the doctors, but only in houses or churches when suddenly He encouraged me and touched me. because of his job situation. 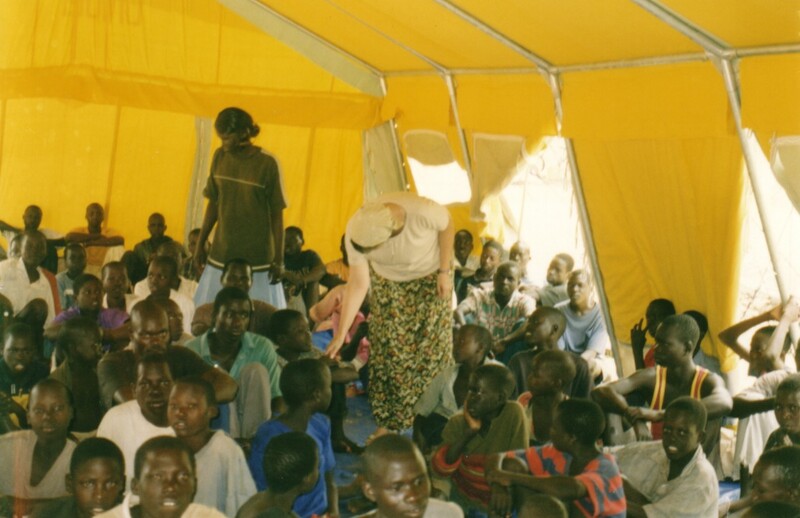 One of the miracles was that I, during the last week in Soroti, had been invited to by 5 pastors to go to a very wide group of people outside of town which was in a serious place where the people were forced to live when having run away from their places to avoid the Lord's Resistance Army. When asked by those pastors to go there, and I planned to do it, another pastor took me to the side and suggested that I not go, because he expected to have to call Dave and tell him that I was dead and ask how to send my body to him in Omaha or have him come to Soroti. Well, since Pastor Joseph said that so strongly, I did not go. Found out a day later that, even though no one had died, the situations had been very serious, and, if someone from out of their nation had arrived, it [me] could have been much worse. When Dave came to Uganda 2 weeks later, at the end of January, I had malaria and PTS. Malaria was handled OK through doctors; no big deal. The PTS lasted for approximately 4 months. When flying back home together a couple weeks after he arrived, it took me quite a while to become thoroughly healthy. I was 58 back then. Oh, and re: a lot of the situation in Soroti, even though the book is fictional/non-fictional [mostly NON-fictional re: Soroti!] it has now been published. Now, even with my stumbling and my dementia increasing very strongly, the Lord tells me to drive around our city and other local towns and pray for the wonderful situations or demonic situations, and worship very strongly thankfully to the Lord. 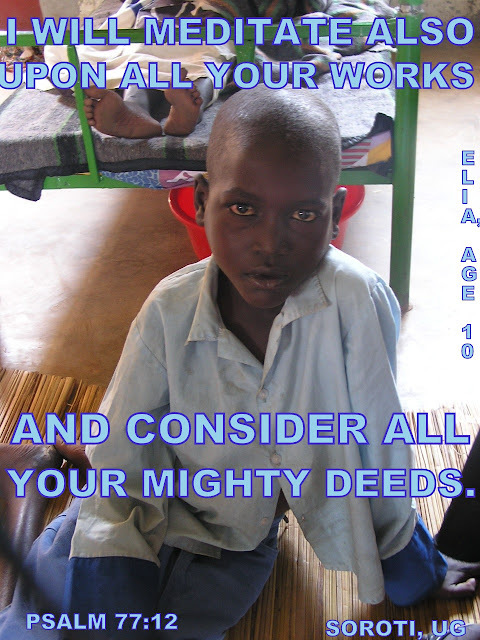 In our large world or any very small homes, He is all that counts. And He is all I can count on. I'm very grateful for how the Lord protected me, healed me, used me, and has let me worship and glorify Him, moment-by-moment. Thank you for putting up with me, my dear family and friends. Dave and I just arrived home 4 days ago from Washington and Oregon area after being gone from Omaha for 2 weeks. This is the two of us with Mt. Adams in behind us, and the fire was extreme that day. However, in spite of that situation, we were filled with smiling and rejoicing, because friends we happened to be staying with had driven us around the Klickitat area. Oh, and I was in Klickitat when 5-7 and 15-17.
and that I graduated there. when very young, teenaged, and now very old! And, since I was a young kid in Tacoma, WA, this has been my favorite mountain, Mount Rainier, to see. I rejoiced this time again.